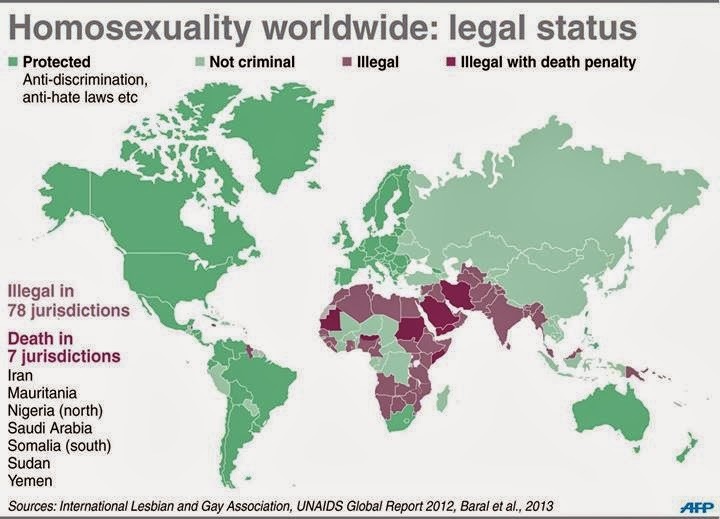 Infographics: Homosexuality Worldwide Legal Status / 7 Countries w/ Death Penalty for Gays - Exam News, Reviewer, Military Career, & Everything [MN] . .
AFP released a map shows the legal status of homosexuality around the globe - with seven countries having the death penalty for gays. It can be recall, on February 24, Ugandan President Yoweri Museveni signed into law a series of bills banning the promotion of homosexuality and making it mandatory to report gays, in a country where they can face life-time imprisonment.